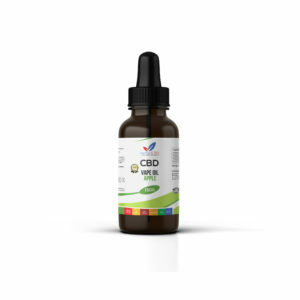 CBD Vape Oil by Verified CBD contains 1,500 mg of cannabidiol, lab-tested 99% pure CBD isolate. Being made from an isolate allows it to have zero THC. Produced using CBD from organic USA grown hemp. Flavors: Apple, Menthol, Razzelberry. Intended for use in vaporizers.